Be Your Selfie is a must-have, limited-edition, 9-piece Eyeshadow Palette with highly pigmented warm and shimmery gold eyeshadow shades that are formulated with good-for-your-skin ingredients that provide long-lasting, eye-catching results. Unapologetically Be Your Selfie with this 9-piece, limited-edition, hand-picked eyeshadow makeup palette that was made with neutral eyeshadow lovers in mind! From warm, brown tones to shimmery golds, this must-have Eyeshadow Palette features highly pigmented matte and shimmer eyeshadow shades that provide maximum payoff with just one swipe. Formulated with antioxidant-rich Coconut Oil and skin-nourishing Energy Complex that’s made from a combination of Green Tea, Ginseng and B vitamins, Be Your Selfie Eyeshadow Palette instantly compliments any eye color or skin tone, while delivering good-for-your-skin nutrients. Create any eye look that matches your style with four, velvety matte shades and five shimmer shades that easily blend into the skin for a flawless look. Whether you’re creating natural daytime looks or a sultry glamorous glow, watch as each sweet-smelling, blendable Be Your Selfie eyeshadow shade takes your eyes to the next selfie level — your Instagram photos will thank us! Using a fluffy crease brush, place deeper, matte shades into the crease and use windshield wiper motions to blend shadows together until you achieve the desired look. Use a medium, flat eyeshadow brush to pack shimmer eyeshadow shades onto the eyelid. Accentuate the eyebrow bone by placing the lightest shade underneath the brow. Lock eyeshadow in place without creasing or fading throughout the day by applying Get a Grip Endurance Eyeshadow Primer* to eyelid prior to eyeshadow application. Items marked with an * are sold separately. 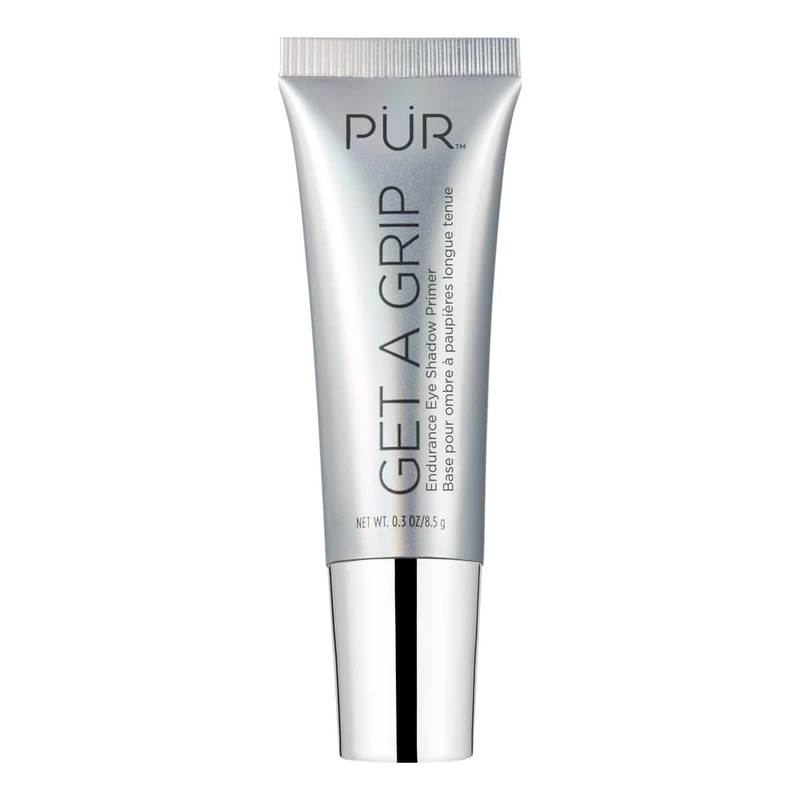 Apply Get A Grip* primer to eyelid. Sweep Natural across the entire eyelid as a base. Apply Gorgeous to the outer crease. Apply Alluring to the inner corner. Line eyes with On Point Eyeliner Pencil* in short, quick strokes along the lash line. Coat lashes with Fully Charged Mascara*. Apply Disappearing Ink 4-in-1 Concealer Pen* in an upside down triangle shape under the eyes. Use the Skin Perfecting Concealer Brush* to blend for a flawless finish. Apply Confident as a transition into your crease and outer eye area. Sweep Fabulous across the outer eye and blend. Apply Strong across the inner eye. For a touch of shine, lightly tap Charming across your outer brow bone. Apply On Point Liquid Eyeliner* in short, quick strokes along the lash line. Apply a thin line of PRO Eyelash Glue* to the lash band and wait 30 seconds for the glue to become tacky. Place PRO Eyelashes* as close to your lash line as possible. Use your fingers to press down on both corners of your lid to secure lashes. While the FDA has approved the use of parabens as an effective preservative system, we set your mind at ease and formulated this product free of parabens. We understand that a vegan diet is a lifestyle choice so we make products that are void of animal products to fit your lifestyle. For those with severe gluten sensitivities or Dermatitis Herpetiformis, rest assured this product is gluten free. ENERGY COMPLEX | A combination of green tea, ginseng and B vitamins help stimulate the skin’s metabolic renewal process. I literally hate everything about this palette. It looks gorgeous. The colors look stunning in the pan. But that's where the paise ends. It's so chalky and there is so much fallout. In order to get any payoff, I have to pack on an absurd amount. It is not buildable at all. Only the matte colors seem to work. No matter what base or primer I use, I can't get the shimmer to adhere to my list. Even with my finger and dipping into the pan 5 or 6 times, I barely get any color. It is not at all pigmented. It doesn't blend well. It doesn't stay on well. It's the worst palette I have ever used. I want to love it, but it's horrible. I wonder if I got a bad batch because I can't believe how many positive reviews there are. This is packing on the color and trying to build. Base is Mac paint pot. This pallet is my all time fav! It’s very pigmented and lasts 12 hours! The colors are absolutely gorgeous! This is a must have in your bag! I got this in a subscription box and this made the whole subscription worth it. These colors are gorgeous and a little goes a long way. Make up tends to come off my face quickly, but this stuff stays on all day. Truly gorgeous. I loved this eye shadow it stays on all day and the colors are beautiful. I ended up purchasing one for my daughter for Christmas and she is crazy about it!! Overall LOVE this palette! The colors are perfect for me! They're very pigmented & blend very well! Such beautiful warm colors! Definitely recommend this product! I would buy again from Pür! !